Yesterday I took a stroll in Manhattan to see if what I had been reading on the news was indeed true. 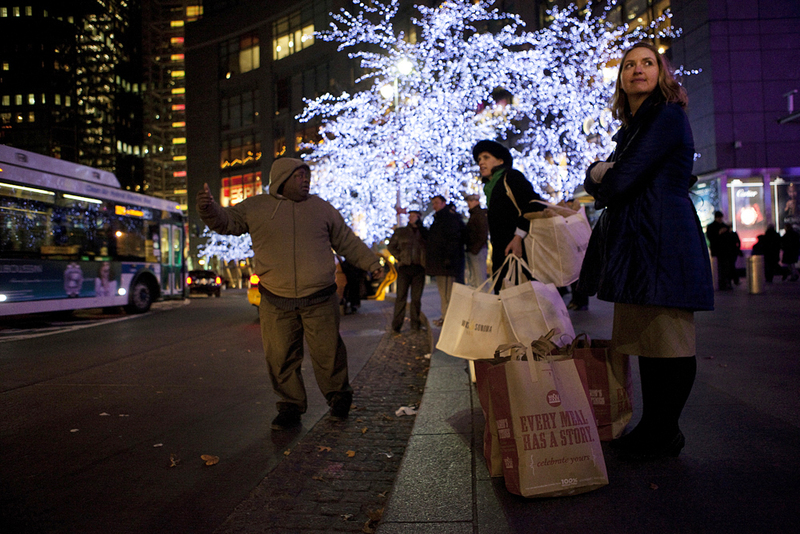 Are people just more generous this year for Christmas or do they have more money to spend? Are we finally out of this “economical crisis?” Can we relax and buy a bit more without suffering from guilt later? Or, is this just an impression I get living in a richer city? My hopes are for the better, but the Williams and Sonoma and Whole Foods bags these two ladies I caught out of Columbus Circle are filled to the rim and their faces are content and relax. Can these be a sign or relief?